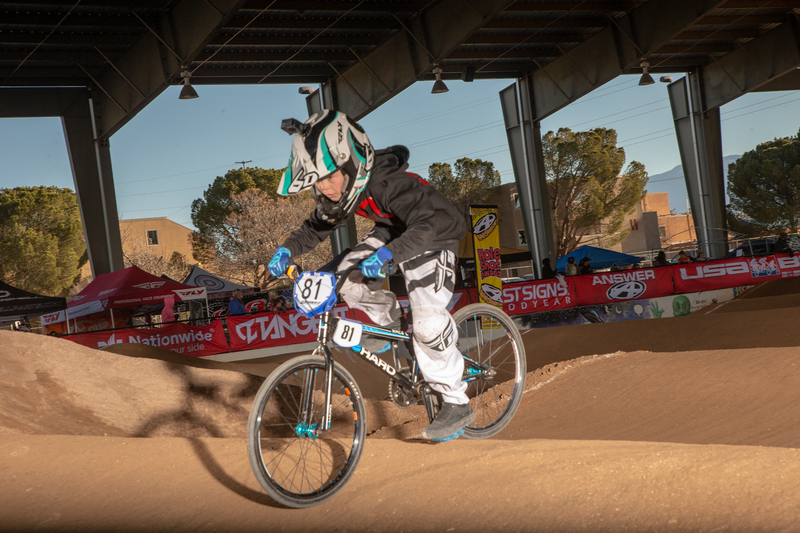 Duke City BMX, home of the 2019 USA BMX Spring Nationals caused quite a stir during late December when they posted some early footage of their most recent track rebuild. The clip showed local stars, Kalvin Davis and Tomas Fernandez, jumping through the deep and steep third and fourth straightaways. Comments ranged from why isn’t every track like this to downright fearfulness. In the end, day one of the national had 184 motos of high altitude action. 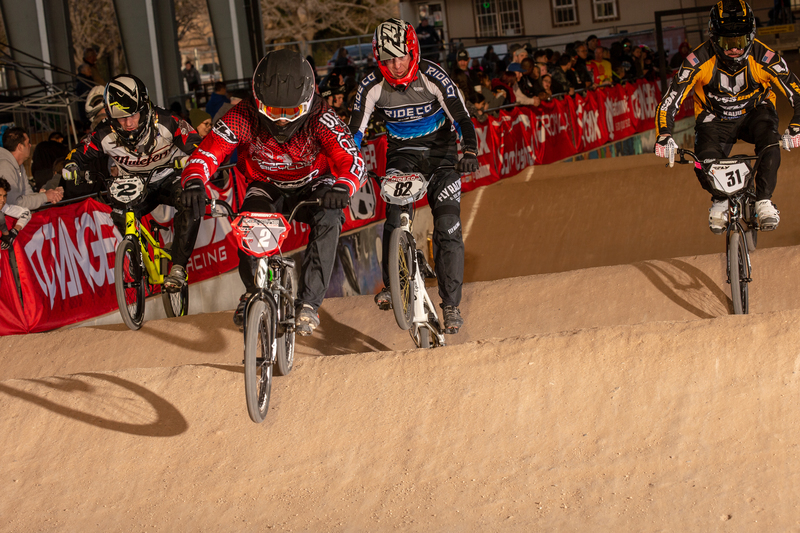 Friday night was the second and final UCI world qualifier and final chance for riders to punch their ticket for Team USA. 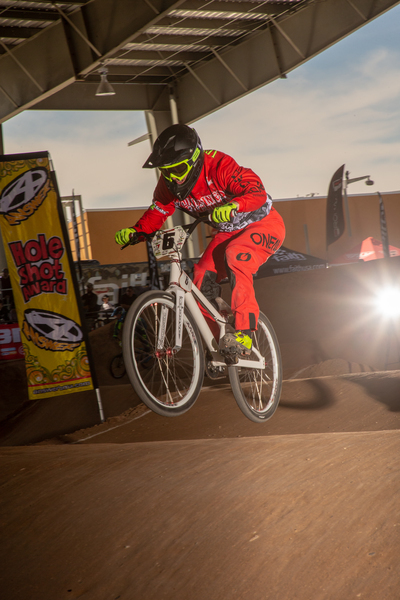 The riders took to the technical track fairly well but as we saw in Florida, the 12 and under classes didn’t have anyone dominating as many do under normal clipped-in race conditions. With the deadline looming to petition for a spot on the team, we shall soon know who all will be representing the USA this July. As Pro practice concluded all eyes were on the UCI official, the pro section and his tape measure. 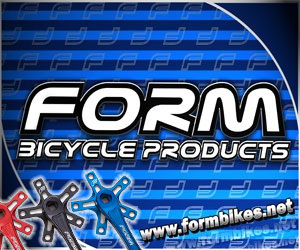 In the end, the section was deemed to not be to UCI spec which meant that the Junior and Elite classes could not use them during their races. 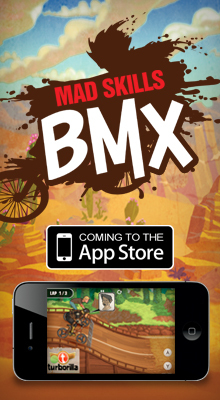 This ruling would not apply to any USA BMX classes, such as A pro. Speaking of A Pro, another Australian would come out on top for day one. 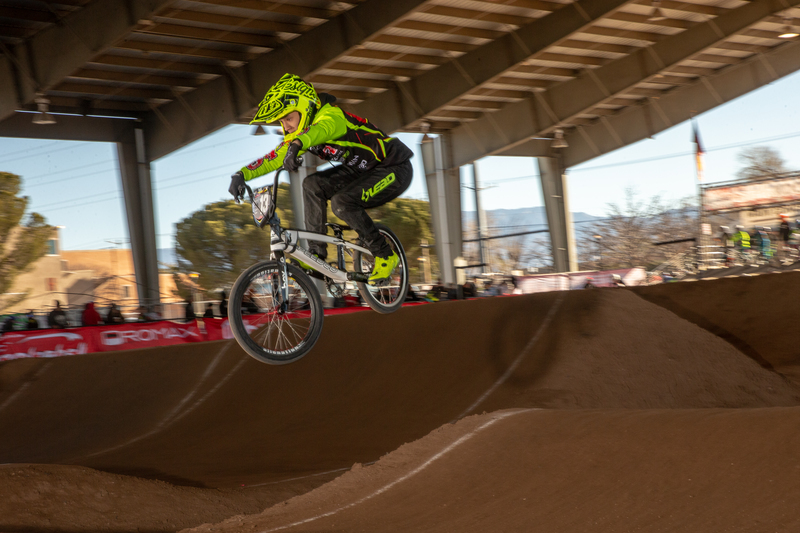 Throdwns Tyler Smith would get a healthy holeshot and the crispy benjamin courtesy of Answer BMX but opted to go left and skip the pro section. This allowed Fernandez and DK’s Kyle Hill to go from fourth and 5th to first and second. Fernandez set up for the final turn just wide enough to allow Hill to manual his way inside of the third turn, give Tomas a bump and ride on to victory. Tyler Faoro would grab the three spot. On day two it was another holeshot for Tyler Smith but the other local star Kalvin Davis was languishing right behind him out of turn one. Smith again went left, Davis went right over the big pro set and overtook the lead. Day one winner Kyle Hill was right behind the Supercross pro through the pro section. As they hit turn two Smith would now find himself in fourth place as Tyler Faoro also moved past the Throdwn pro. Things would get single file after that and the podium would finish up in the same order. Vet Pro only had 5 riders at this stop but the racing was still as exciting as ever. 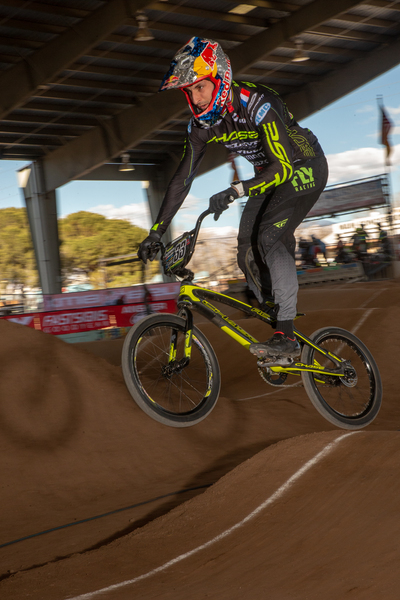 With no Tyler Brown to contend with Albuquerque local and past 3-time Vet Pro Champ Kenth Fallen was the favorite and delivered on day one, despite almost running himself into the wall on the outside of the final straight. Justin Mclintock was right on his tail and kept him honest and Racefast’s Cristian Ricks would round out the podium. The second day of racing brought a bit more excitement as Mclintock would go for a hi-low maneuver in turn one taking himself and Braden Romer out of the race. Fallen, Ricks and Jason Crouch would make their way to the podium in that order. Junior Women also fielded 5 riders on Friday night but one would be missing from the actual racing action. The winner of the last round of Junior Elite, Gordy’s Bicycles’ Lexis Colby, would, unfortunately, go down during practice and be out for the weekend. 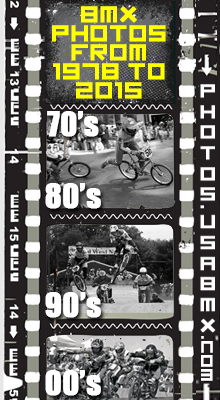 This left the Hayes twins, Natalee Daughtry and Daleny Vaughn to battle it out for the USA Cycling points. Redman’s Vaughn would finish 1-1-2 in the three rounds of racing and take the overall victory. Emily Hayes would finish in the second spot and her sister Ashley would round out the podium. On day two they would be a rider short of making a class and would move up to the Elite Class. 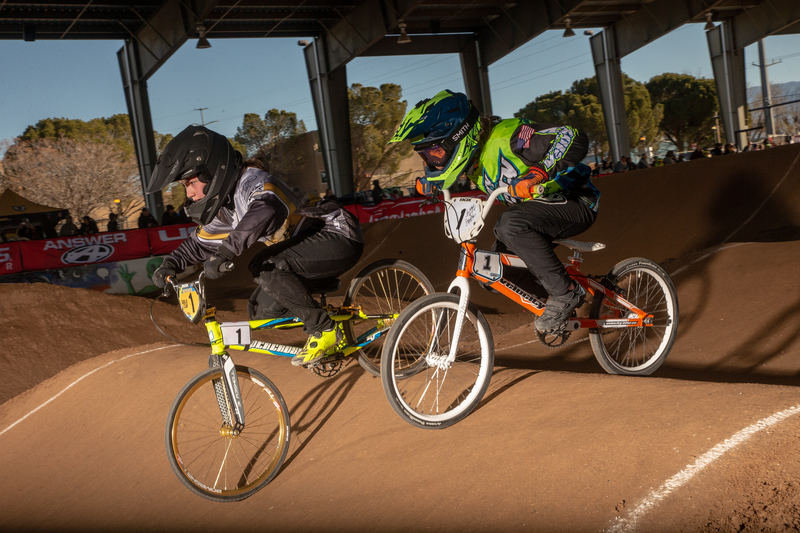 In the Junior Men class on Friday Aussie, Jack Davis would step on the top of the box as Cameron Wood didn’t show up for his third round of racing. Wiawis’ Cameron Bramer would finish in second and Wood third. On day 2 Wood looked more than determined to redeem himself and won the first two rounds but was challenged by Davis in the first turn in the third and final round. Both riders would go down, Wood jumping up quicker than Davis and despite the crash, the Alpha mounted Wood still won the overall. Bramer kept it consistent for the second spot and Colorado’s Darian Toureene would find himself on the podium with a third. Supercross’ Felicia Stancil nearly pulled off what no one has been able to do in nearly two seasons, beat Alise Willoughby. The two would drag race to the first turn on Friday with Stancil coming out of turn one in the lead. She’d hold off the Silver medalist until the final straightaway where a slight case on the deep step up would slow her just enough for Willoughby to pass by. Brooke Crain was right there for the third. 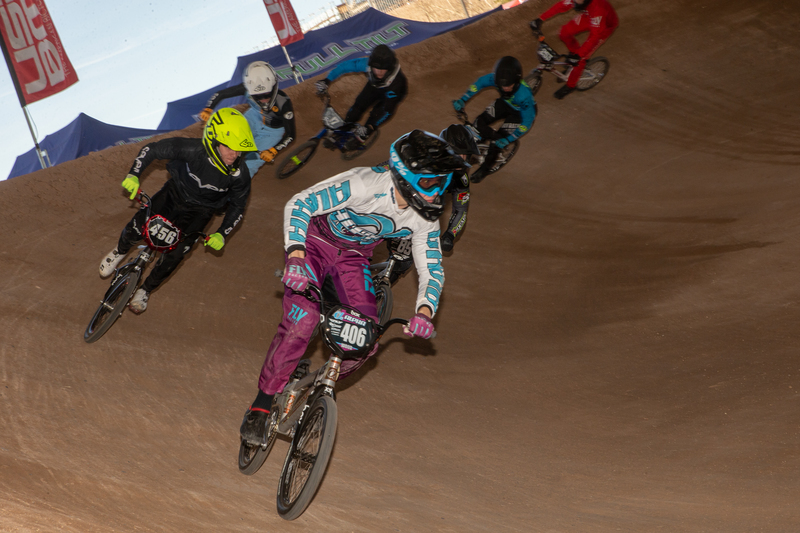 On Saturday Junior Emily Hayes was seen out in front of quite a few Elite ladies and qualified for the main event. Once the gate slapped down Alise quickly shot to the front of the pack. Felicia Stancil was right there with her in the second spot but got run up turn one by Answer’s Laren Reynolds. Stancil would return the favor in turn two pushing the Australian back to the fourth spot. This move opened the door for Brooke Crain who would jump her way past Stancil into the second spot and that's how things would finish. Chase/Rebull Pro Joris Daudet was back to his winning ways after he had to hightail it out of Tampa at the last Pro Series event to be there for the birth of his son Jett. The flyin’ Frenchman would top the podium both days. The coffee shop owner Anthony Dean looked as fast as ever and finished up on the two spot both days. On Friday the third spot went to Corben Sharrah who was only one of a few Elites that tested the waters of the pro section. Saturday’s third spot went to “Special K” Aussie Matt Krasevskis. Is anyone going to be able to stop Ellie Carey on the cruiser this year? With both Tristan Pingatore and Taylor Rungaitis aging out of the class it looks like Carey may be up for two National Age group Titles this year. 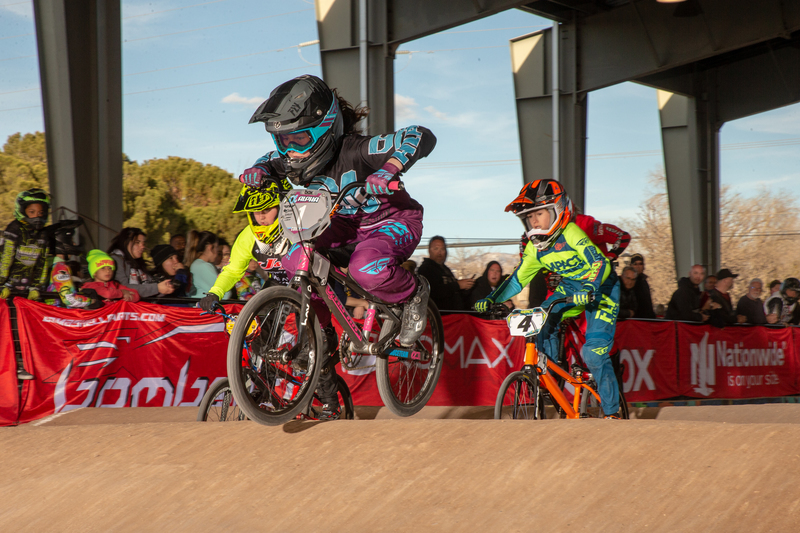 Ryleigh Herrera did get the hard-fought win in the class on Sunday but she too ages up before the Grands. 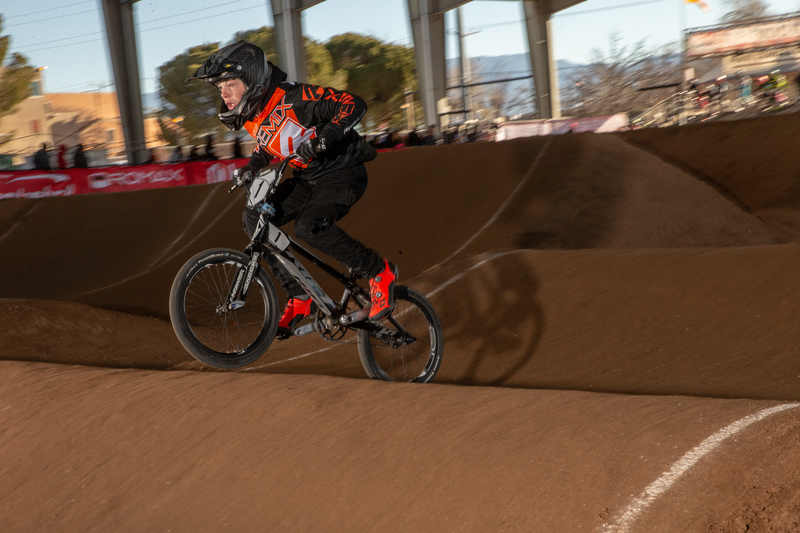 National #1 Girl Cruiser Danica Anderson hasn’t seen anyone in front of her all year on the big wheels and if this weekend was any indication, we may not see anyone out in front of her all season long. Keeping her honest both days was Oakdale, California’s Angela Espejel, and Fall Risk Factory’s Hannah Leakey. In the 8 Cruiser class LDC’s Reed Neubauer was on top on Saturday. 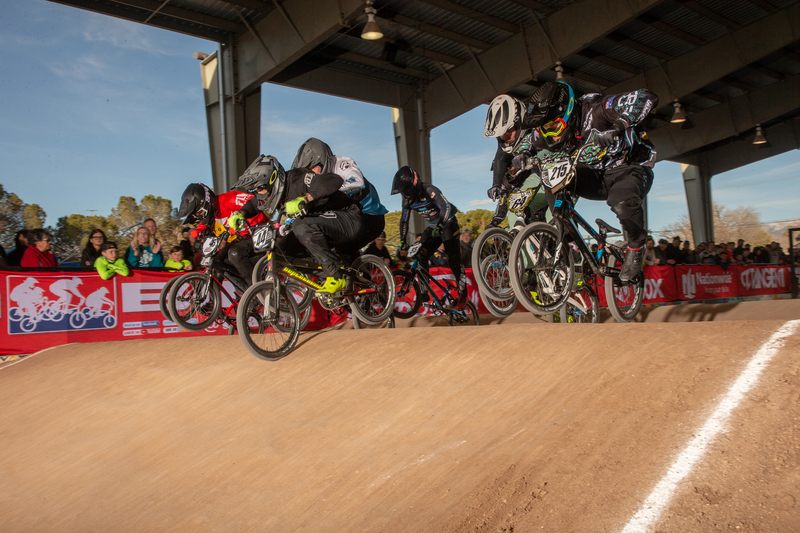 On Sunday, BMX Shark’s Jorge Montano III shot out to the front of the pack with Neubauer hot on his tail. Pat’s 605 Noah Ratzlaff finished up in third both days. The 17-20 Cruiser class was the biggest of the weekend with 13 riders. Jackson Elliot was on fire and took the win both days. On Saturday Tyler Mcguire was comfortably in 2nd until a slight mishap on the last straight caused him to slip back to the three spot. 316 racing’s Riley Shea came by for the two spot. 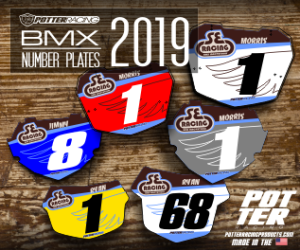 On Sunday, Brandon Loudermilk worked his way through the pack and finished up in the second spot, Mcguire would finish in the third. The forever exciting 9 Expert Girls class came down to the line as Impact Racing’s Preslie Gould made the last second pass to overtake Alpha’s Annalyse Solano. This was Gould’s first win at the national level. In the 12 Expert Girls class it was the Anderson and Corely show. On Sunday Corley came down the third straight with some smooth manuals and looked to pass Danica but she would have had to make contact to do so. She took the safe route and tucked in for the two slot. Rita Fedewa would finish in third both days for Future Concepts Racing. 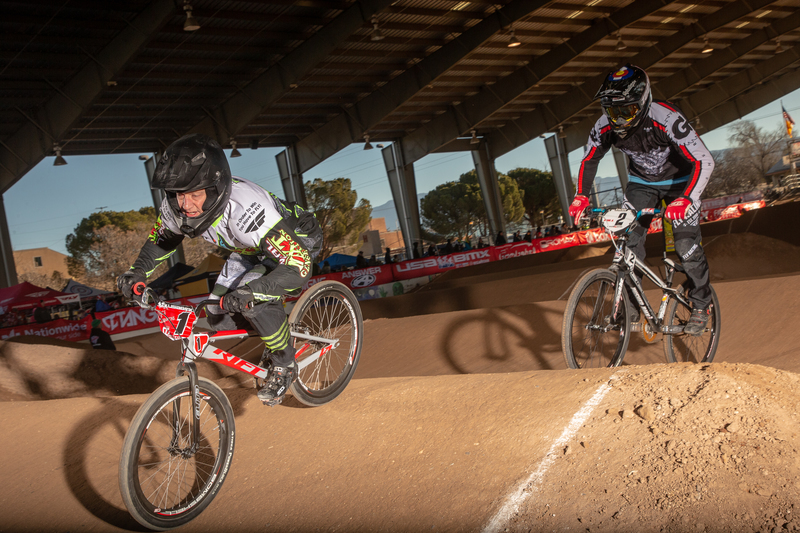 The 13 Expert class was a good one on Sunday with a good battle between National #1 Amateur Ronnie Kim and BMX Shark’s Cedric Cade. Cade was pulling next to Kim at the exit of turn two when his tires broke loose causing him to slide out and hit the deck. Kim would go on to win and Throdwn’s Cannon Wood would grab a second. Florida’s Weston Meurlot had a standout weekend finishing second in 15X on day one and took the big win on Sunday. It was good to see the GT rider travel out west for some high altitude action. Riley House clicked off a nearly perfect lap on day one to win the STACKED 17-20 Expert class. Sunday saw his training partner Cameron Wood would take the win to add to his already impressive year. 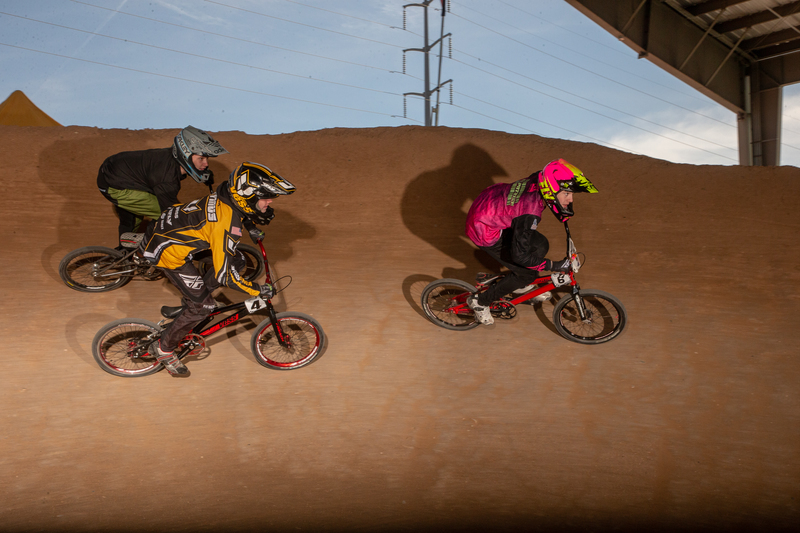 The 26-35X class was another awesome showdown between Matt Wilcox and Jason Morris. The difference maker was the pro section as Morris opted for it each day as Wilcox stayed left and that’s how they finished respectively.